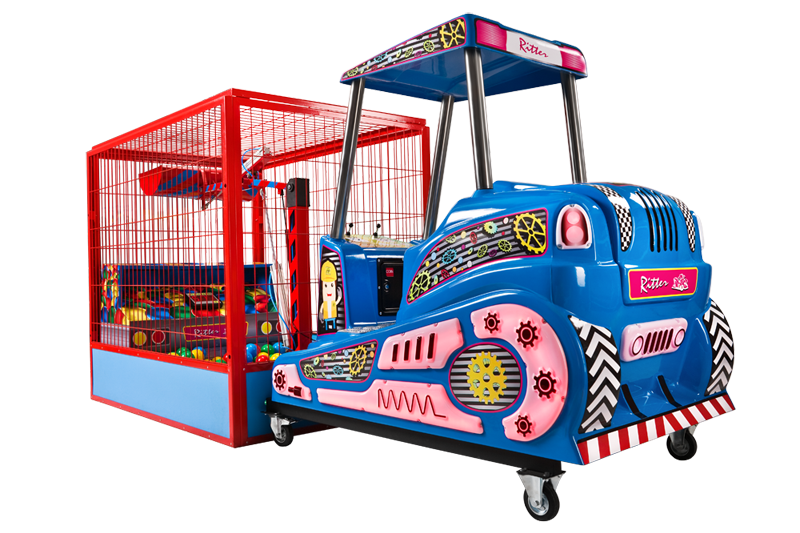 An interactive simulator bringing education and fun for kids and adults. 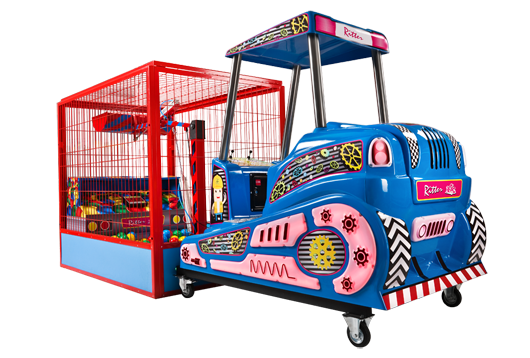 After inserting coins the device works for a set and limited time simulating the real bulldozer. 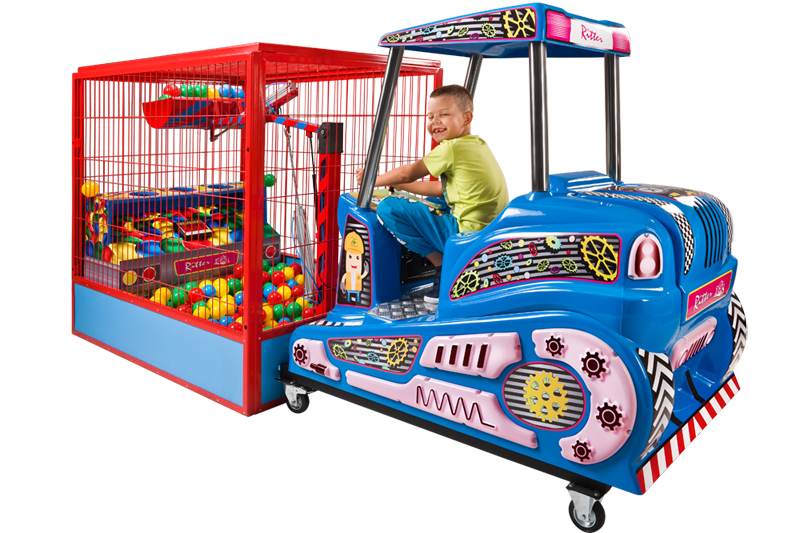 The game consists in lifting balls and dropping them into three holes located opposite to machine, in the cage (the working area). Each hole gains different score. The console counter displays the amount of points. It is possible to supply the device with a ticket dispenser.